Our bags are packed and we’re ready to go. Two weeks ago our bags were packed and all set for our annual family vacation in Lake Tahoe. Lots of our family joined us the first week to enjoy the area and celebrate Art’s birthday with us. Many people went home after the first week, but six of us remained to hike, spend time together, and look at the peaceful lake and lovely sunsets. For many years, our second week in Lake Tahoe has been spent at a little place right on the lake, which we’ve enjoyed very much. About halfway through our first week we received a call that we couldn’t stay in that place because they’d found black mold under the sink, and were relocating us to a cabin in the woods, a few miles from the lake. We were so disappointed and, in some ways, have continued to be. What do you do with disappointment? Well, you can let it fester and work on you. Or you can see where God’s Spirit is working in the midst of it, bringing new possibilities and experiences. I’ve done some of both this week. At times I’ve continued to be upset – after all, this is my relaxing vacation, and in some ways it wasn’t what I’d hoped it would be. 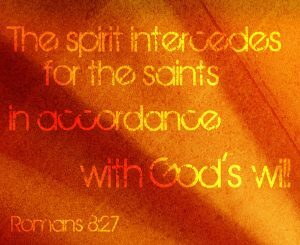 Then I let God’s Spirit quietly and persistently work in me. I’ve had the chance to be with people I love and explore some new places near our “cabin in the woods.” We’ve been able to drive to places near the lake and watch the sunsets, and continue to hike almost every day in extraordinarily beautiful places. It’s a privilege just be able to go on vacation, and enjoy people and places, basking in God’s creation. So now our bags are packed and we’re ready to go, heading home. This Sunday, August 5, I’m going to talk about “In a Still Small Voice” – how God’s Spirit comes to us in small and quiet ways, and gives us new insights, peace and joy. God’s Spirit will be known to us as we celebrate Holy Communion, too. I know many of you are coming home now, too, from vacations and time in cooler places. Others are making plans to come home soon. Here is my simple prayer for all of us: God, let your Spirit in work in me, so that I may know your presence and peace. Amen.